Services – Servatech Property Management Ltd.
SERVATECH will conduct a detailed study for the purpose of identifying action to be taken in order to improve the property and to extend its life expectancy. SERVATECH will develop a program of renovation and rehabilitation geared to keeping the property competitive within the marketplace. One of the most important services SERVATECH provides its clients is the management of their funds. Over the years we have established systems and procedures which are geared to ensuring that each of our clients has total control over the receipt and expenditure of funds generated by their properties. Banking: Clients of SERVATECH who use its Bank ( Cross town ) receive favourable fee structures as well as favourable interest rates on their daily operating accounts. SERVATECH accepts payment of rents in the form of regular cheque, money order or certified funds. Over the years SERVATECH has developed systems and procedures geared specifically to ensuring that its clients’ funds are managed with the same interest and care as if it had an interest in its clients’ properties. SERVATECH ‘s procedures have been closely scrutinized by many auditors and have always met with their complete approval without qualification. Our clients have the freedom to examine their books of account at any time. SERVATECH employs the use of a fully integrated computer system located at its head office which is used by its accounting staff to provide comprehensive tailor-made financial reports geared to individual client specifications. Over the years, SERVATECH has developed accounting and computer procedures and systems designed to provide the highest degree of control available in order to protect our clients’ assets and ensure accuracy in the recording and reporting functions of the business. The term “preventive maintenance” is used frequently in the management of properties and can best be described as a calculated and planned course of action, adopted by the property manager to achieve a measure of control and regulation over the physical upkeep of properties. Preventive maintenance involves implementing an organized program to reduce the risk of unanticipated defects, malfunctions, or other unsatisfactory conditions. Preventive maintenance, if performed thoroughly, should not only maintain building components in good order ( keep them clean, tidy, efficient and free from breakdown ) but should, in addition, expose problems or potential problems so that they can be rectified immediately in order to prevent further deterioration. Preventive maintenance is a course of action which strives to guarantee that the normal life expectancy of building components will not be cut short and moreover strives to extend, wherever possible, and whenever possible, normal life expectancies. A comprehensive preventive maintenance program starts with the development of a “Master Action Plan”. The Master Action Plan is used in the scheduling of annual maintenance service tasks. The Master Action Plan forms the template for each property’s unique preventive maintenance program. Once the Master Action Plan has been developed, it is important that all items in the “Plan” be prioritized in a schedule or “Maintenance Calendar of Events”. Over the years it has become essential for a property management organization to rely upon a system which provides the ability to track the multitude of information gathered in the management of real estate properties. SERVATECH utilizes a system developed by LandlordMax which has been developed specifically to assist real estate managers in making their work more cost effective. The Landloard Max package is the first of its kind to fully integrate the tools required for the administrative side of the business such as operating budgets, tenant billings and collections, vendor payables, financial statement preparation and reporting and consolidated reporting. Users of the Landlord Max system are provided with the comprehensive planning and control tools required for effective financial management. The financial system includes General Ledger, Financial Reporting, Budgeting, Accounts Receivable, Accounts Payable, Banking and MICR Cheque Printing. The system also maintains a complete database on each unit tracking occupants, parking and other pertinent information. Landlord Max is a large and established organization and has all of the resources to provide the technical support and training. SERVATECH will carefully screen all suppliers and contractors to ensure its clients receive only the highest quality of workmanship at the most competitive prices. SERVATECH will also negotiate very favourable prices for all building supplies and on most maintenance and capital works contracts. 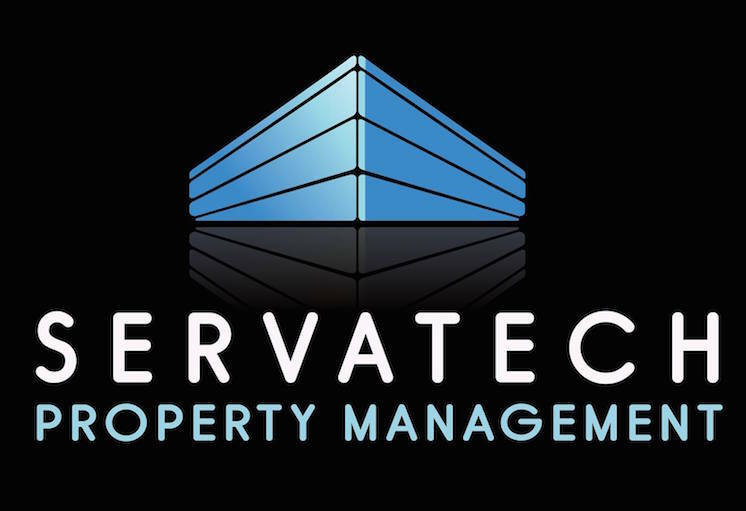 SERVATECH considers the rent review process to be an integral part of managing any property within its portfolio. It is for this reason, with the exception of costs relating to rent review consulting, that SERVATECH considers this to be part of the management services provided and therefore included within the management fee. At SERVATECH we provide management expertise and operating efficiency to clients with industrial and commercial properties. Attracting high quality tenants is our priority. Our clients can be assured of a consistent revenue stream. At SERVATECH we understand that our clientsï¾’ time, resources and energy are too valuable to be spent on anything other than their primary business activities. Therefore, recognizing that quality property management is a prerequisite for a successful real estate investment, our clients call upon our specialized experience, people and services to manage their properties so that they can focus on their core business.